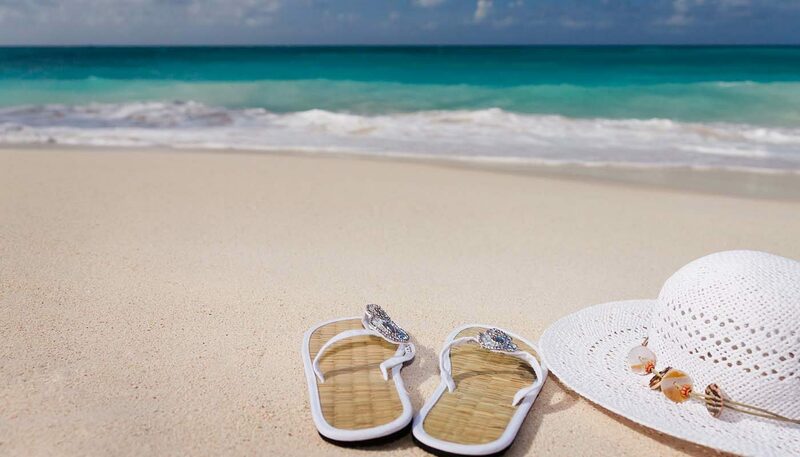 Is Your PPC Strategy Making the Most of Travel ‘Micro-Moments’? 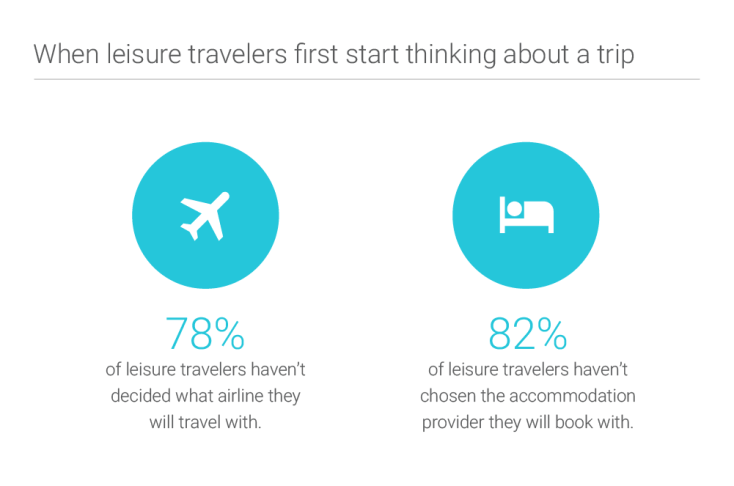 Home » Blog » Is your PPC strategy making the most of travel ‘micro-moments’? The mobile web has revolutionised the way people travel, probably more so than it has affected any other consumer industry. From the first search for holiday ideas to finding local restaurants after they arrive, smartphones play a prominent role in everything travellers do. Along the way they move between various consumer intents (which Google is calling micro-moments) and it takes a different kind of marketing message to reach them at each stage. So today we’ll be looking at these ‘micro-moments’ specific to travel and how your advertising strategy can tap into each of them. The key to reaching audiences early on is informational content. So the obvious combination would be organic SEO and content marketing – but don’t rule out dedicating some of your AdWords budget to promoting your most important travel content. You may also want to consider YouTube advertising as a low-cost way to tap into users’ early informational searches. Speaking of which, travel vlogs are the most viewed and engaged travel-related content on YouTube, but only 14% of it is created by brands, leaving a huge space for travel firms to move into. Then there’s Facebook, a branding power tool for travel companies and Instagram, which is the hottest network in travel marketing right now. This is where your AdWords really starts to generate leads, now that you’ve got actionable keywords to work with. You can catch these searches by focusing on location names but remember that buying intent can still be pretty low at this stage. 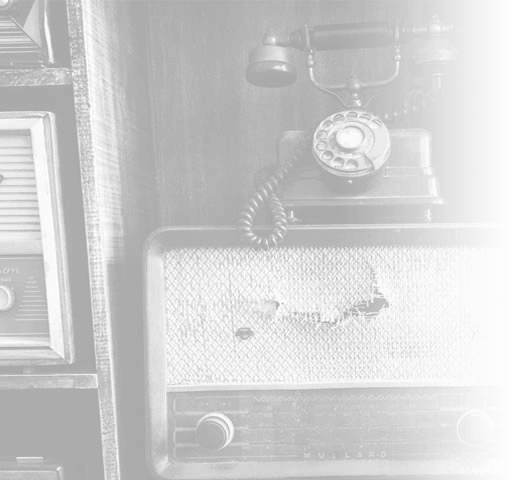 Your job is to capture those initial leads and guide them through the buying process. Let’s say you’re in the hospitality businesses: the obvious keyword to target would be ‘hotels in [destination]’. However, you can also target related searches for flights, car rental, travel advice and other queries people will make along the purchase path – they’re all going to need somewhere to stay. Set up AdWords remarketing on your landing pages and do what you can to get that first click. Even if they don’t book the first time around, you can target them with ads on the display network. Consider a campaign that promises a limited-time discount to create a sense of urgency and make it really hard to resist your ad. The key is to create a more consistent experience across all devices so users learn they can trust your brand. You can sweeten the deal by offering special mobile discounts (it’s good enough for Booking.com) and make sure your mobile booking system is flawless. Try to keep your ad messages as consistent as possible across devices to give users that added reassurance. Use call and message extensions on your mobile ads so people can get in touch to confirm prices and book right away, too. 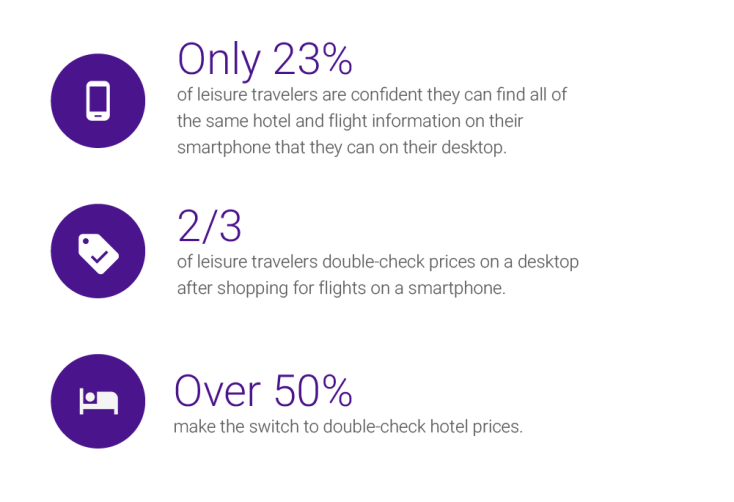 The biggest impact of mobile on consumer travel is how much of the research process takes place after people arrive at their destination. Local attractions, restaurants, tours and all kinds of travel services are booked on the road and this puts a more localised spin on your advertising efforts. With millennial travellers, there’s no guarantee they’ve even booked a hotel before landing in a new country. And, as for what they get up to on holiday, modern travellers are increasingly waiting until they reach their destination to research and make their decisions. This puts the obvious emphasis on local search ads, Google My Business listings and location targeting on your text ads. Meanwhile, Facebook even has a “People travelling in this location” targeting option for you to tap into the spontaneous nature of modern travellers. It’s hard to think of an industry that’s been turned on its head as much by mobile as travel. Brand loyalty (compared to fashion brands, for example) is almost non-existent and this brings both challenges and opportunity. The key is to get your brand seen at these vital micro-moments and nail the user intent at each stage, whether it’s informational search price comparison or whatever else. 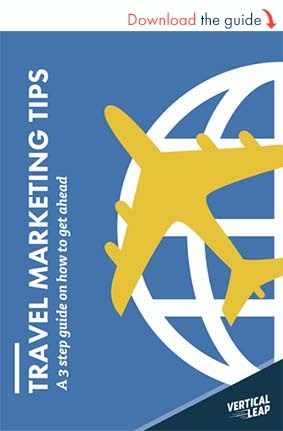 Have you seen our travel marketing guide?